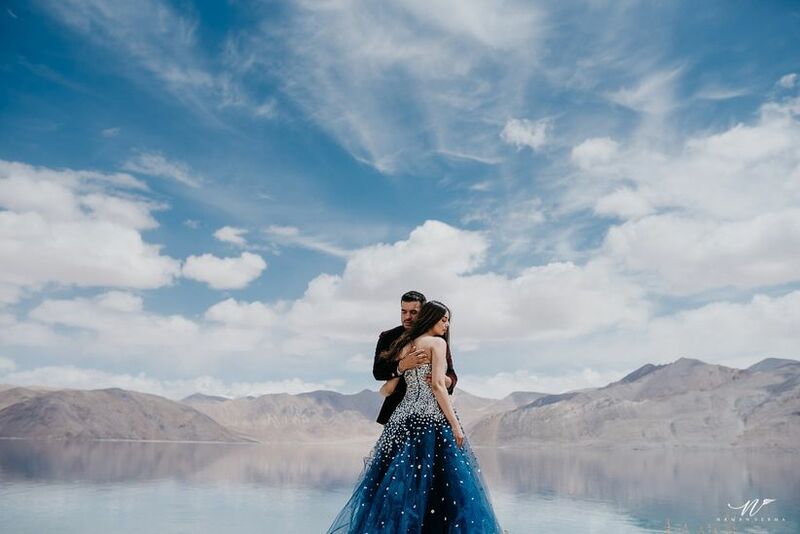 Personalise Your Pre-Wedding Photoshoot with These Rules for Unique Pictures | Wedding Tips ARE YOU A VENDOR? 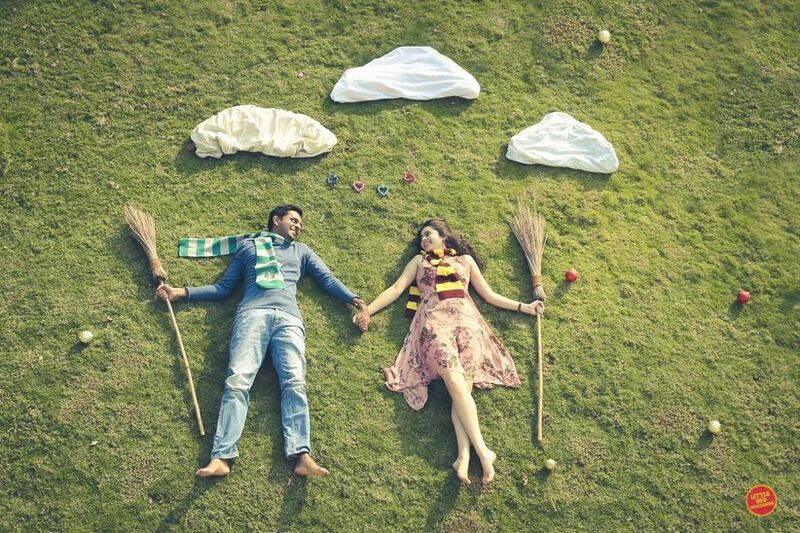 Cheesy or cool, there's a pre-wedding shoot for every couple type. Here's how you can create a photo story that suits you! Take cues from this article and start taking notes now! 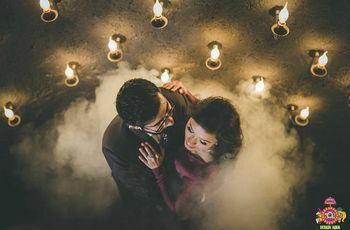 In the last few months, Indian wedding photography has gone above and beyond to execute some stunning pre-wedding shoots. These photoshoots have gone from being boring to brilliant, thanks to the efforts of the photographers and the couple involved. The key is to make these pictures personal and use them to share your own story. Even wedding invitations inspired by the same idea are customised to be a storyteller. Read how you can create memorable pictures that you’ll love just as much as wedding pictures. A pre-wedding shoot is the best time to create pictures that reflect you and your partner’s story. Don’t just follow industry trends blindly. Instead, spend time coming up with a concept that works for you as a couple. If you’re a couple that bonds over books, find a cute bookshop for your pre-wedding shoot. For high-school sweethearts, we recommend going back to school and for travel freaks, a trek for old times’ sake. Remember, customization is always good. The process of finalizing a photographer is not easy and requires many rounds of calls and meetings. But don’t lose touch once you finalise the deal. Meet your photographer before the day of your pre-wedding shoot and get comfortable in his presence. Your photographer needs to understand you as a couple to be able to capture you well. That way, they won't ask you to do something you don't like and will create pictures that work with your personality. PDA is not everyone's cup of tea and it doesn't have to be. 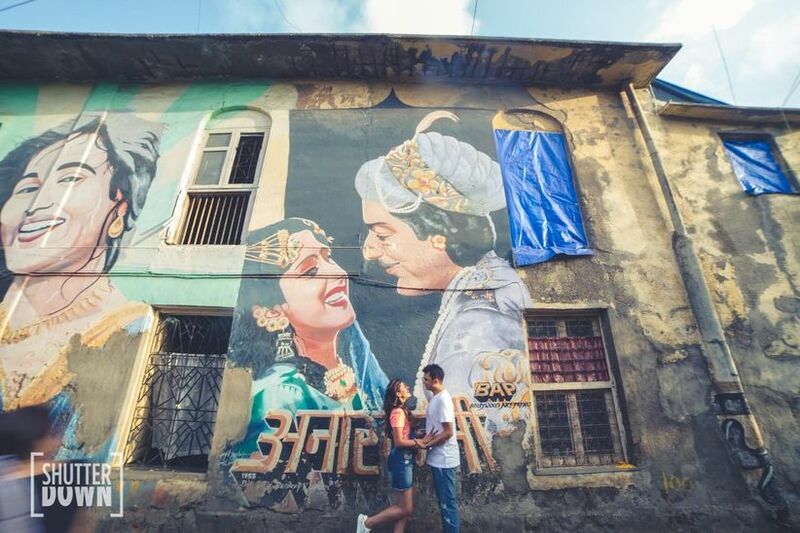 We've seen some great pre-wedding photography, which the couple pulled off within their own homes. That’s where you’ll be naturally intimate with each other. Find a cute corner in your home, clean up any extra clutter and voila! you're ready to shoot. Cook up a storm or just lase around on the lawn to create cosy, feel-good pictures. The good news is that the Internet is filled with some stunning pre-wedding photoshoots of couples from all over the world. 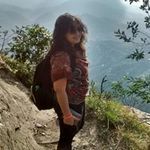 Just as you would look for Indian bridal hairstyles or research bridal lehengas with prices, spend some time browsing through our social media accounts and that of your favourite professionals to save reference images. Share these with your photographer and your partner, which leads us to the next step. We know this sounds cheesy but trust us on this one. You will have to practice your poses with your partner before the actual shoot. A pre-wedding photoshoot is nothing like the couple selfies you've clicked so far. You may enjoy posing at parties but posing for hours together is a completely different ballgame. We suggest discussing pictures with your partner to finalise poses that you'll both be comfortable recreating in front of a professional. That’ll give you ideas for the wedding poses too. From looking for a location that suits your personal aesthetics or trying out different poses to ace your photoshoot, there is a lot that goes into making any photoshoot a hit. If you're having your photoshoot outdoors, your photographer must be planning to capture the best of natural lighting. Please don't delay your changing sessions or makeup sessions and be punctual with their schedule. You can always go for candid shots if you are camera shy. Ask your photographer to work according to your finalised concept but instead of posing, you as a couple should just indulge in everyday conversations or fooling around, whatever comes naturally to you. 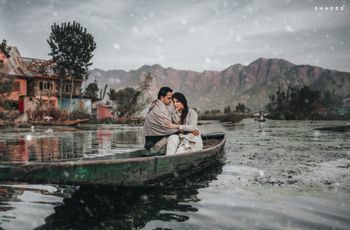 Trust us, these will be the best pre-wedding photoshoot pictures which showcase the joy you radiate through your expressions. Dress according to the weather. Chances are you will be out for quite some time. So, even if your shoot dress is a gown and the weather is cold, keep a jacket at hand. If you plan to include pooches in your pre-wedding shoot, get a caretaker along. Since you will be busy in the shoot, someone needs to take care of them, feed them and keep them disciplined around the photographers. Having someone at the shoot location who can do that for you will make things quite easy. Make sure you procure necessary permissions for your photoshoot at your choice of venue. While some public places have free entry but there could be photography charges applicable. Find out about all such details beforehand to avoid any fuss on the shoot day. You've spent a lot of time and finances searching and booking the right wedding photographer, so make sure you utilise their skills in the best possible way. 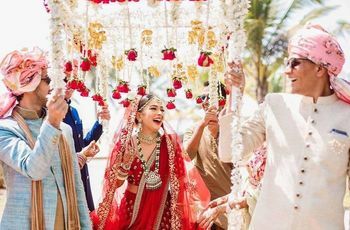 The understanding you once develop will help your photographer capture all the aspects of your D-day like wedding decoration, bridal lehenga, makeup and the rest, really well. A little preparation goes a long way, especially in the wedding photography department. Enjoy the memories and come back with pictures you'll enjoy seeing years later from now. Which theme did you pick for your wedding shoot? Tell us through comments.